• Wound and trauma care in the minor operating theater, using herbal interventions where applicable, supporting hospital staff, and reducing resource costs. • Inpatient work on the male, female and pediatric wards, using herbal interventions where applicable. • Outpatient work, to provide patient education around herbal medicine and also collect relevant details from the case history about traditional treatments. • Education in herbal medicine and the ongoing development of hospital resources. • Development and documentation of traditional knowledge in partnership with local traditional healers. The Wasso Phytotherapy Project is open to qualified herbalists. Qualifications include training or experience in clinical herbal medicine (case taking, assessment skills, energetics, pharmacology, pathophysiology) and basic emergency medicine (Wilderness First Responder, Emergency Medical Technician). 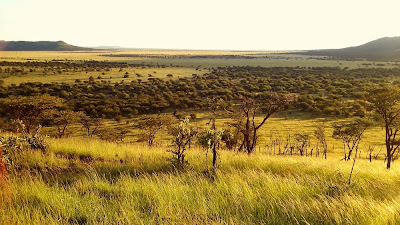 The environment and flora between the Rift Valley and the Serengeti is rich. Maasai traditional medicine, though equally rich, is under pressure as the new generation adapts to westernization. 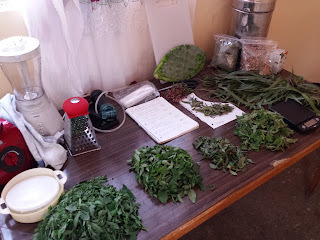 There will be lots of opportunity to range the countryside, harvesting and preparing herbal medicine (we bring no herbs with us), but this will be a working trip, with the day starting around 8am, a few hours off in the middle of the day, and clinical/pharmacy round table in the evening. Weekends, while generally off, are also opportunities for documentation and research. Our long-term goal is to serve as a bridge between local herbal medicine and the hospital, document our work, and develop a model that could be used at other sites. The session runs for one month, roughly from April 15th to May 15th though the exact dates for 2017 are still to be determined. The cost for the program is US$ 4,000. This includes everything: airfare from New York City (JFK airport), visa and travel fees, transport in Tanzania, room, board, and work permits. 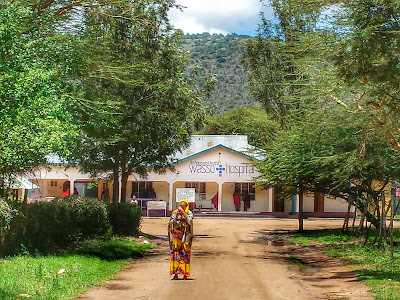 Participants are responsible for transport to New York City, any incidental expenses (cell phone, gifts, and special treats you may want like coffee or peanut butter), and travel expenses not related to getting to and from Wasso Hospital (such as, for example, safari trip. There will be time to go on such a trip if desired - contact us for more information if this is something that interests you and we can recommend good agencies). Pre-departure training includes cultural orientation, intellectual property, the ethics of global herbal medicine, the history of colonialism and its repercussions, logistics, basic medical Swahili (English is an official language, but a working knowledge of Swahili is very helpful), orientation to the clinician's manual, and access to the program library. This training will happen in Vermont and/or through Internet link by mutual agreement of all participants some time in March, 4-6 weeks before departure. This training will be between 6 and 8 hours of direct contact, though participants will be expected to review resources pre-departure on their own as well to properly prepare. The instructors include Guido Mase' RH(AHG), Anne K. Dougherty MD (OB/GYN), and physicians and nursing staff at the Wasso District Hospital. There will be extensive daily contact time with the instructors, as described above and in the clinician's manual. Daily round-table of open cases, led by Guido, is required (we will have fun doing it). The Wasso Phytotherapy areas of focus and goals include providing ongoing care, expanding our ethnobotanical documentation supported by adequate informed consent, and conducting research and evidence gathering on the use of herbal medicine in a hospital setting. For more details, see below. Burns: reduced use of saline irrigation, silver cream, gentamycin cream through application of wound wash, honey, and opuntia gel. Potentially more rapid recovery. Wounds: reduced use of saline irrigation, iodine, bleach, gentamycin cream through application of wound wash, honey, usnea powder. Potentially more rapid recovery. Fractures: application of hot ginger compresses to reduce swelling and time waiting for plaster of Paris. Side-by-side case documentation to compare conventional treatment and herbal treatment in similar cases. This could include not only documentation of case progression, but also resources used so that a realistic cost-benefit analysis can be compiled. Analgesia: use of Zingiber (tangawizi) topically, and internally combined with Ocimum (Maa: olemurran) in daily infusions for patients. 125ml to 250ml twice daily. Nutritive herbs: powders of dried leaves from Urtica and/or Bidens added to food or water as sources of iron, calcium, and protein. One of the goals of 2016 could include side-by-side case documentation to assess if patient improvement progresses more rapidly with adjuvant herbal therapy. 3. Ongoing development of an outpatient consultation / education capacity in coordination with the hospital, to provide patient education around herbal medicine and also collect relevant details from the case history about traditional treatments already attempted so hospital staff can be fully informed. Outcomes: improved level of communication and trust between the community and the hospital in relation to traditional treatments. Gathering of information so that we can learn what herbal treatments are being used at home, research these treatments for better patient education (see below), and add relevant details to patient case files. Patient and clinician education poster outside of minor theater. 4. 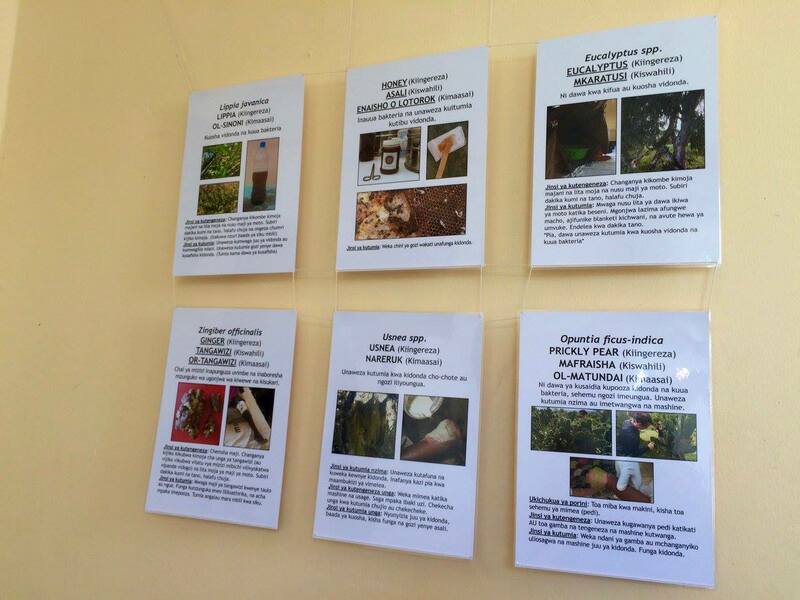 Education of patients and hospital staff on herbal medicine and proper / safe application. Outcomes: increased communication with local population on the use (and proper use) of traditional herbal medicines; increased awareness of and fluency with herbal medicine among hospital staff; comprehensive reference sources for hospital staff to assess the relevance, safety, and effectiveness of herbal therapies they encounter. - Relationships with community / traditional healers. We will continue to explore important stakeholders in herbal medicine who practice in the local community, with the goals of learning, documenting, and protecting their intellectual property as well as building bridges of trust and understanding between traditional healers and the hospital. - Hospital staff competency. This begins with educational meetings and resource distribution, focusing on appropriate use of herbal medicines as described in areas 1. and 2. above. It is our hope that one or two hospital staff members would be interested in maintaining continuity of herbal care / investigation of patient herb use while we are not at Wasso Hospital: we will provide in-depth training on harvesting, cultivation, preparation and application of herbal medicine to these staff members. It is also our hope that we might be able to obtain funding to help support such work. The reference library (see point 4. above) reinforces these efforts. - Dispensary of herbal materials. As part of our work, we over-stock Wasso hospital with items like Usnea powder, Urtica powder, and honey, as well as ingredients (such as Eucalyptus leaf) used in the preparation of wound wash. This serves two purposes: first, it builds a reserve for when we are not here so that herbal treatment, when appropriate, can continue; second, it builds a reserve for dry season when some of the botanicals (such as Urtica or Bidens) may have limited fresh availability. We plan to begin limited testing of botanical gardening: Achillea (Yarrow, a premiere wound wash herb), Artemisia annua (source of Artemisinin and a promising herbal medicine that has been found effective infused for malaria), and Zingiber. Achillea and Zingiber are already growing in the hospital display gardens – we would simply expand cultivation for medicine-making purposes. Outcomes: education of our herbalists in Tanzanian medicinal flora; stronger relationships between the hospital and traditional healers; increased trust in disclosing herbal medicine use by patients; educated and competent staff; continuous use of cost-effective herbal treatments where appropriate; beginnings of a stocked herbal medicine dispensary for use by hospital staff.